The brass pieces of Judie Mountain and her partner Wayne Robbins' glass make Mountain Robbins a must see. I couldn't resist these pieces with a primitive cave art vibe. I found some other great raku pieces including these from Urban Raku I think will be perfect - the bars on the sides should be just right for anchoring macrame cords. 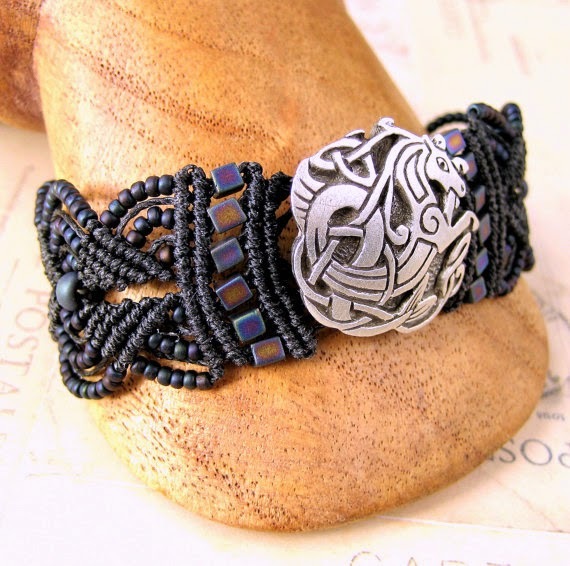 Last but certainly not least, I picked up a couple of finished bracelets from The Bead Parlor because even if I thought I had the patience to do something like this, I don't think that I would ever get around to it. So much better to let a professional do it for me! They also had some classes I thought looked like fun. Next year, I'm going to have to sign up for one! Who's going to meet me there? 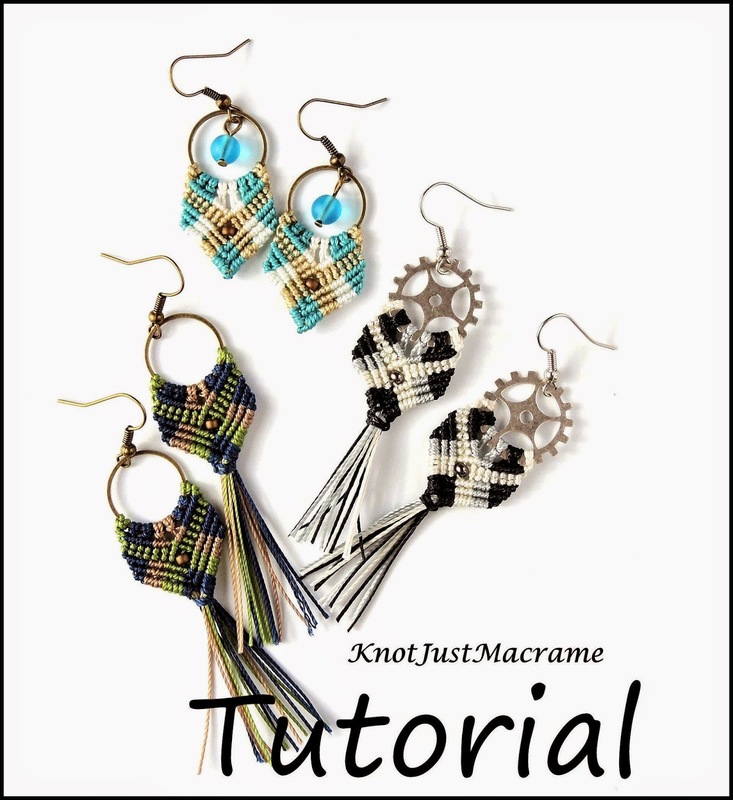 My students weren't the only ones learning something during my micro macrame classes last weekend; I got some insight on the problems new knotters experience. 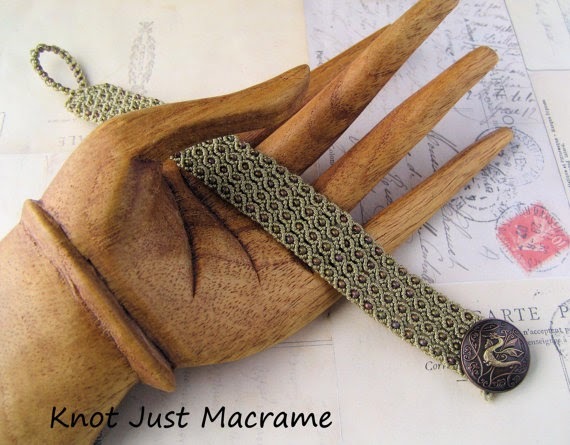 We worked almost exclusively on the double half hitch (DHH) knot, and one of the most common issues was the knot ending up on the wrong cord - on the knotting cord instead of the holding cord. It's not always easy to tell that's happening unless you know what you're looking for, but it is easy to prevent. Hope this is of some help to someone out there! Well, I did it, folks! I finally jumped into the pool (or maybe I was pushed in, I'm not really sure). 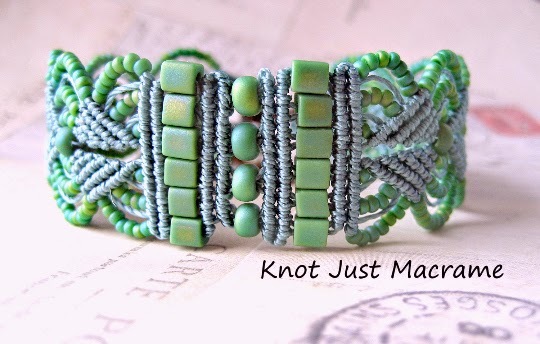 I taught my first in-person micro macrame classes this past weekend at a lovely bead store in Hastings, Nebraska - Julie's Xpressions. 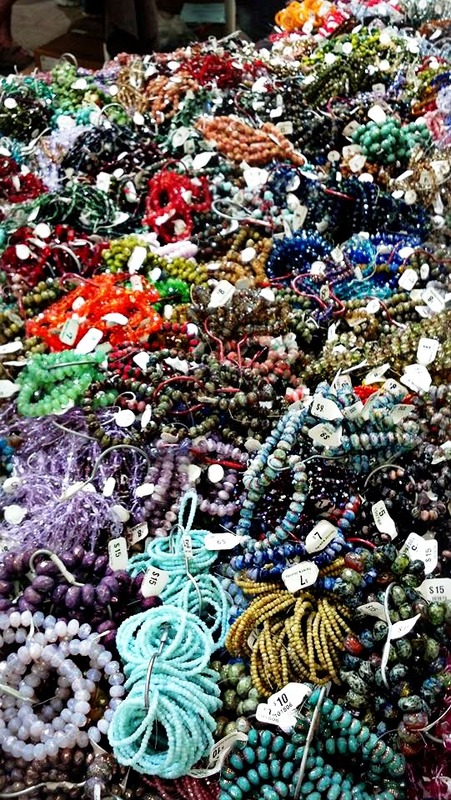 To say it's a bead shop is sort of misleading, though. It's so much more than that! 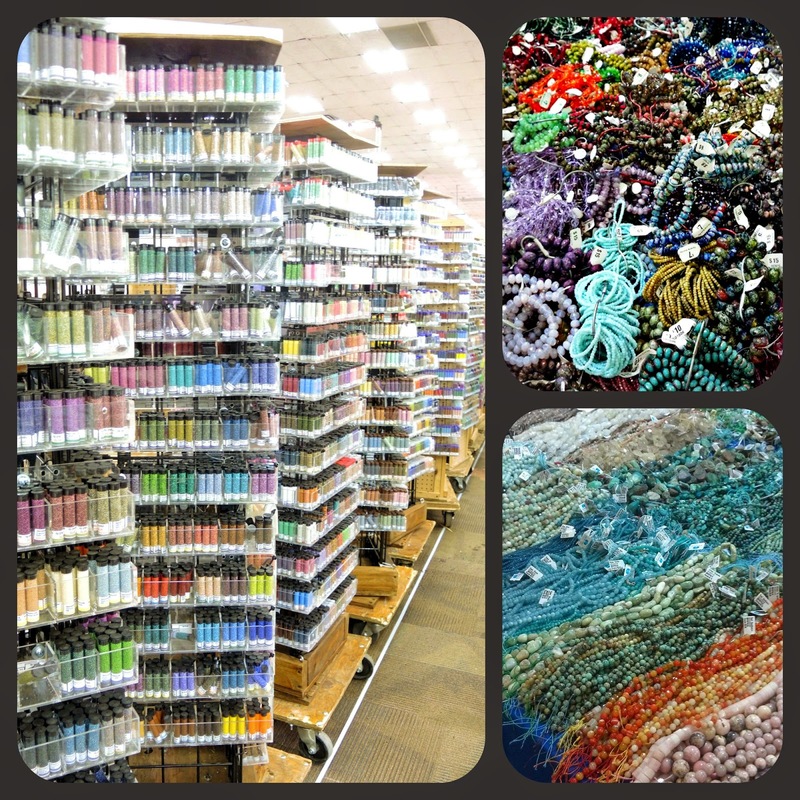 Co-located in the same building as Julie's bead store is the Calico Cottage (a quilt store), The Plum Nelly (fiber) and Blu J (scrapbooking). If any of you are passing through Nebraska on I-80 (and a lot of people do! ), it's well worth your time to take a little detour south to Hastings (exit 312 - you're welcome!). If you can't find something in their three floors (yes, three floors!) to inspire your creativity, I'm not sure there's any hope for you. I could spend a week in there. I should have taken more photos of the shop - notice the spinning wheel and the looms? I was seriously in love with that place. As if that wasn't enough, Stephanie and Chris Haussler (Pixybug Designs) took me over to see the 2nd Floor Studio, too. They have an awesome studio space there with Deborah and Frank Brooks in what used to be the old middle school. They make some absolutely beautiful pieces in glass (lampwork), precious metal clay and metals. They also display and sell pieces from some other local artists including batik, mosaic and pottery. It was a truly inspiring place. I hope to be teaching more classes in the future (provided I can find places where they'll have me!) so stay tuned for that. If you can't make it to a class, don't despair! 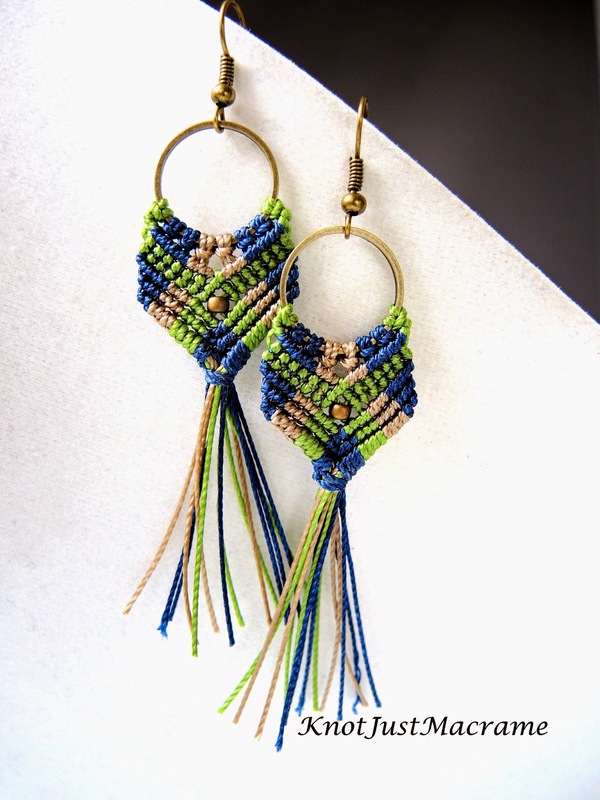 You can learn how to make micro macrame jewelry by taking my online classes at CraftArtEdu.com. 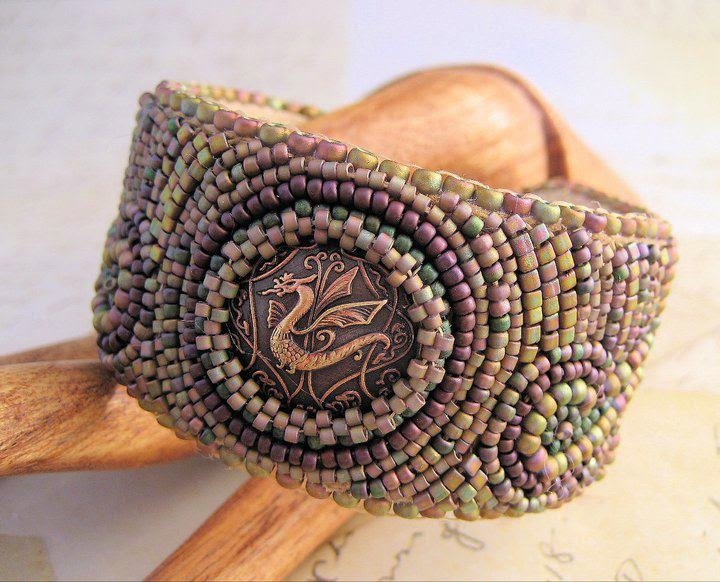 Or, if you prefer, I also have several tutorials in my Etsy shop and some videos here on my blog. 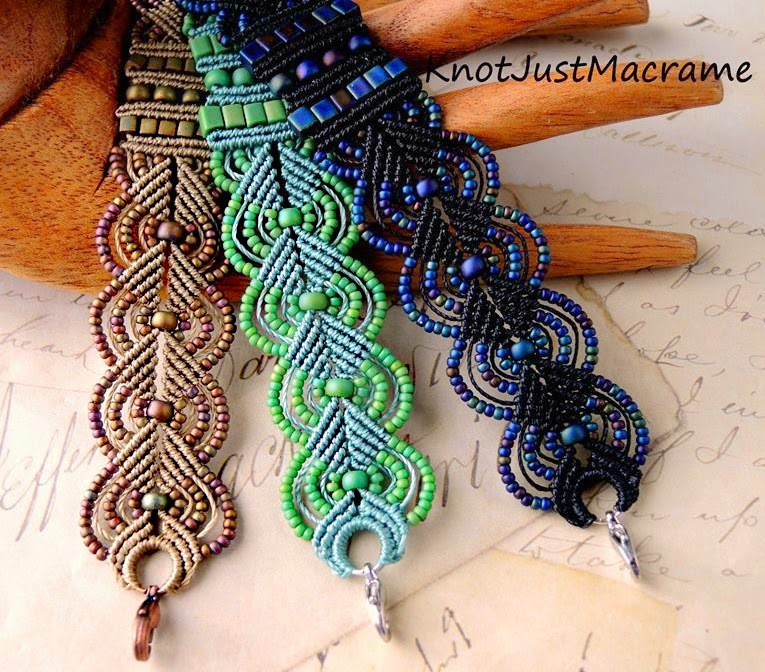 So, now you have a couple things to add to your to do list: visit the fabulous store in Hastings and learn micro macrame!! And (insert drum roll here) I made up a few kits while I was at it. 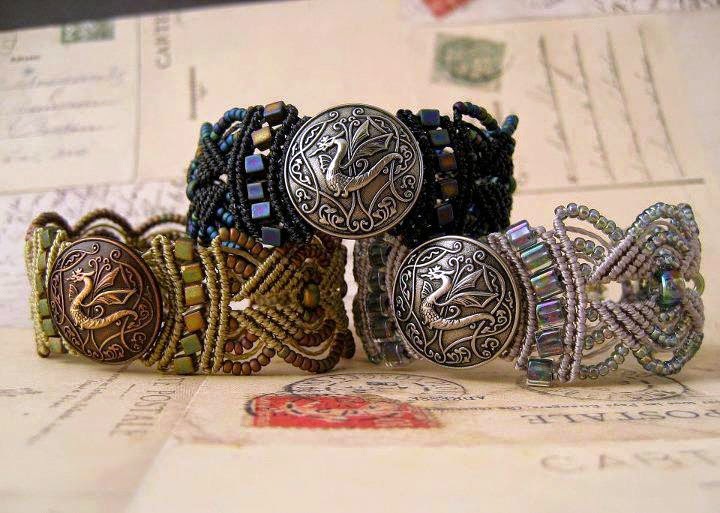 The same kits can be used to make either the short or the long, fringed version. 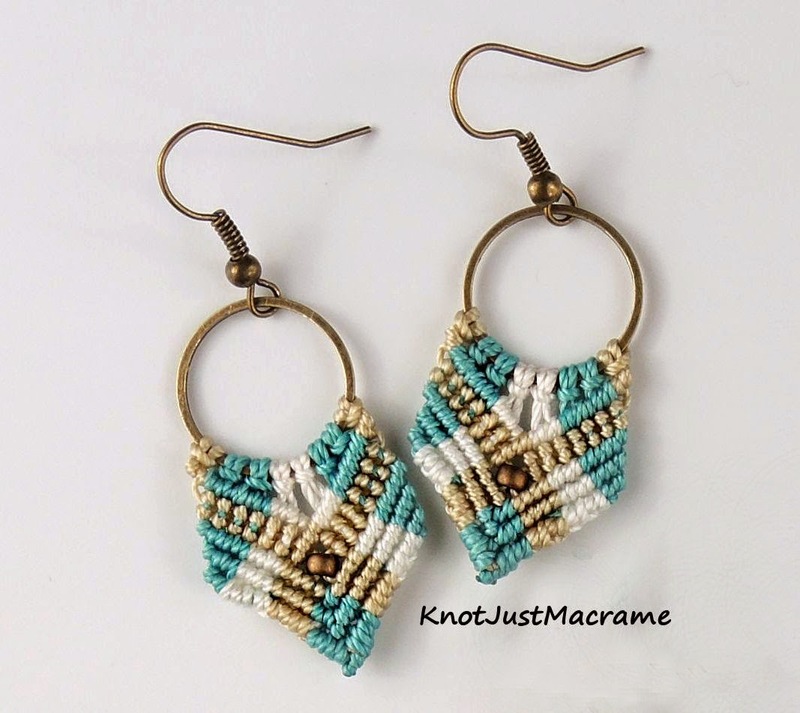 Both the new Gypsy Earrings Micro Macrame Tutorial and the kits are available in my Etsy shop. Have fun! I've had this dragon head clasp in my pile of cool-stuff-I-just-had-to-buy for some time now, just waiting for the perfect project and I decided this was it. 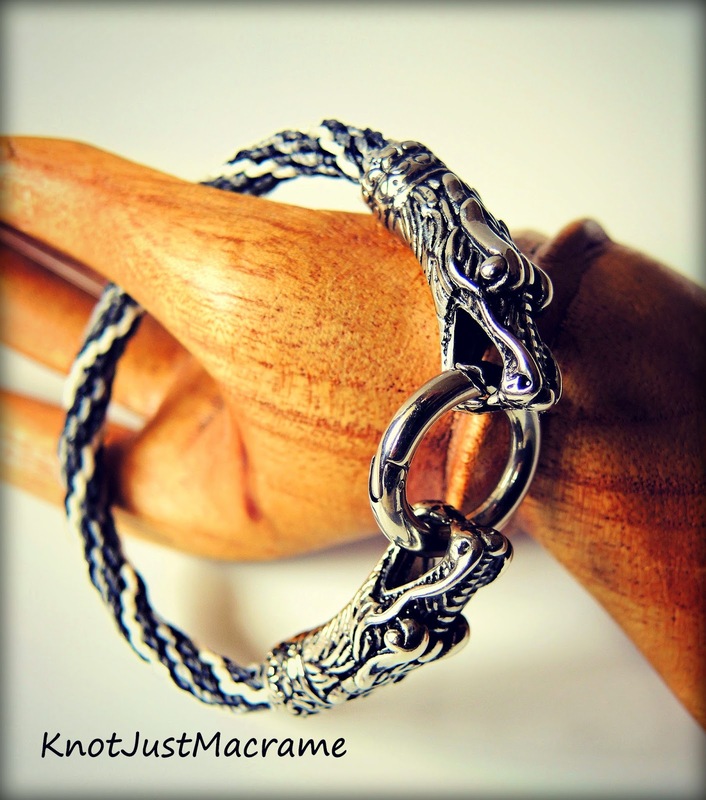 Some simple spiral knotting for the body of the bracelet and one cool clasp and it's all about the dragons! Gearing up for a Hop! 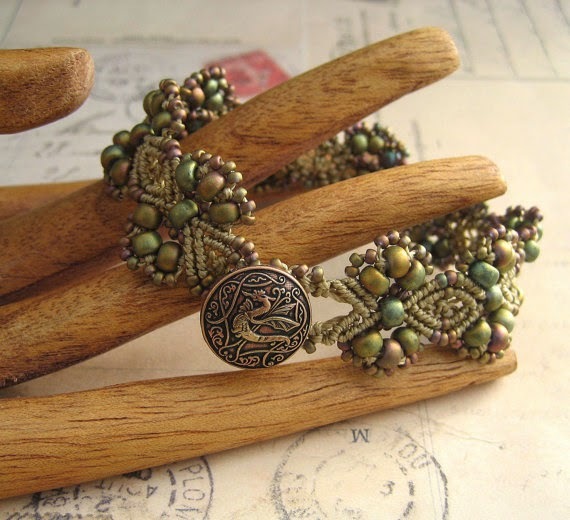 I've been doing lots of scheming and plotting about what to do for our upcoming Beading Back in Time Blog Hop which has led to countless hours of reading about the early history of man and quite a few hours digging through my stash of treasures. 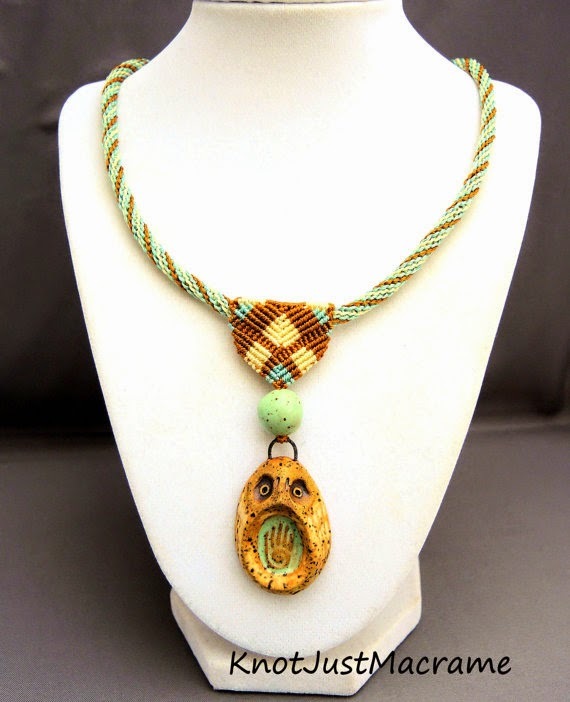 I came across this ceramic owl pendant from Karen Totten of Starry Road Studio. It's one of her owl amulets from a series she called her woodland totems. Although animals were featured in art very early on, I think it is the hand print on this one that makes me think of our hop challenge theme. It reminds me of the cave paintings featuring hands. 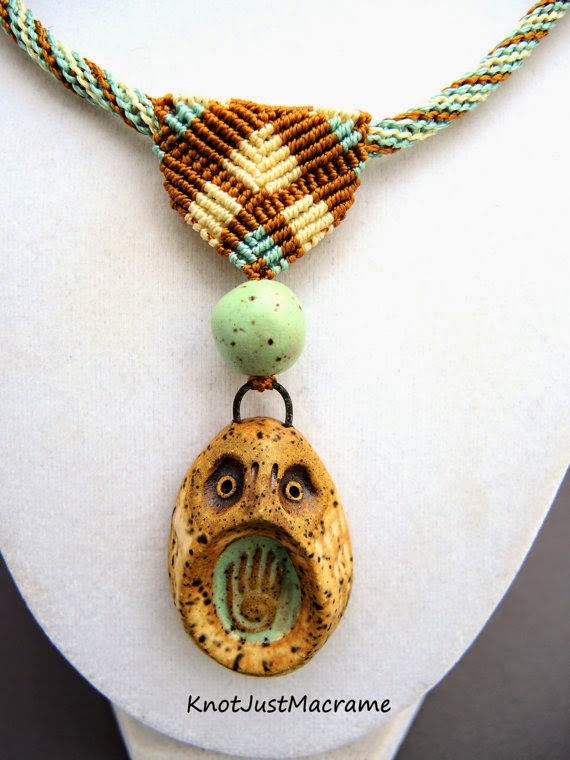 I also came across another ceramic piece from Starry Road Studio - a round bead that matched the pendant perfectly. 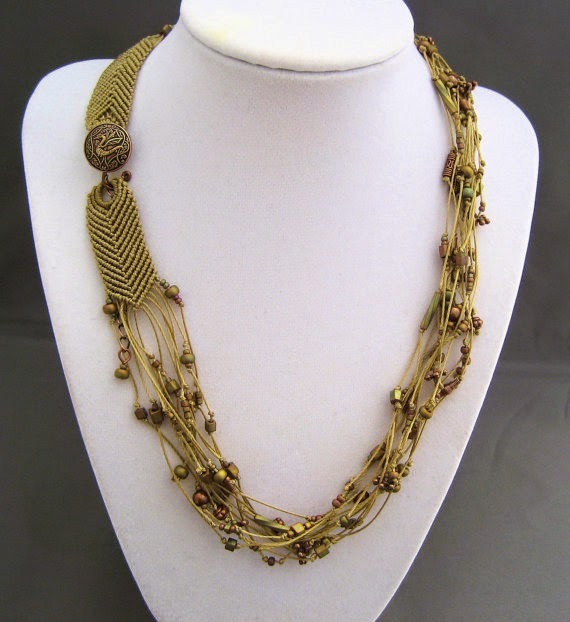 Taking my color cues from those pieces, I knotted turquoise, gold and ecru into a cord/strap for the necklace. 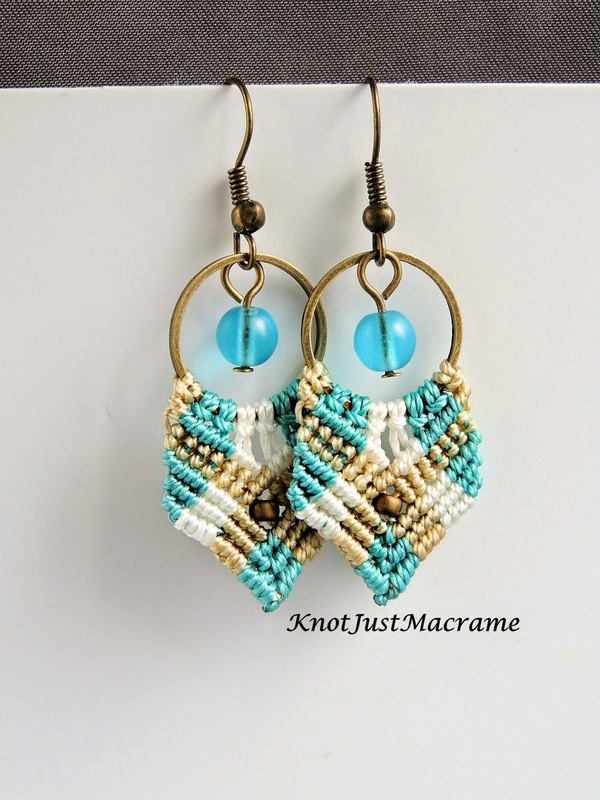 I used this technique (that links to the free macrame tutorial) that looks like kumihimo, but is done without a disk. I love the look of the cord - slap a couple of caps on the ends and it's neat and tidy and can be made in any color combination. Any bail would work on this cord, but I thought I'd take the design a step further, so I knotted one myself in the same cord. 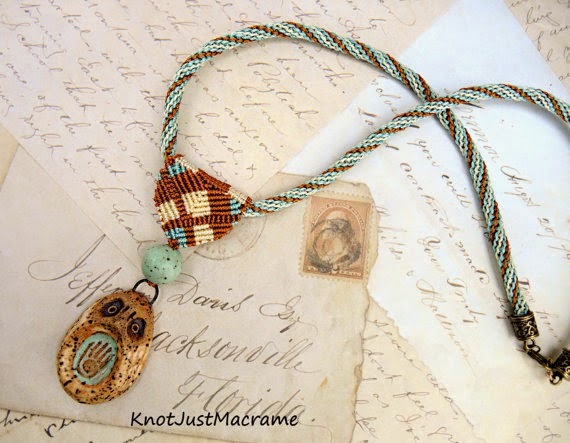 It has a sort of fun plaid design in micro macrame and is completely integrated into the design (the same cord that ties on the pendant and goes up through the bead is knotted through the bail. And yes, I should be working on my piece for the hop rather than getting sidetracked, but what a nice sidetrack, huh? 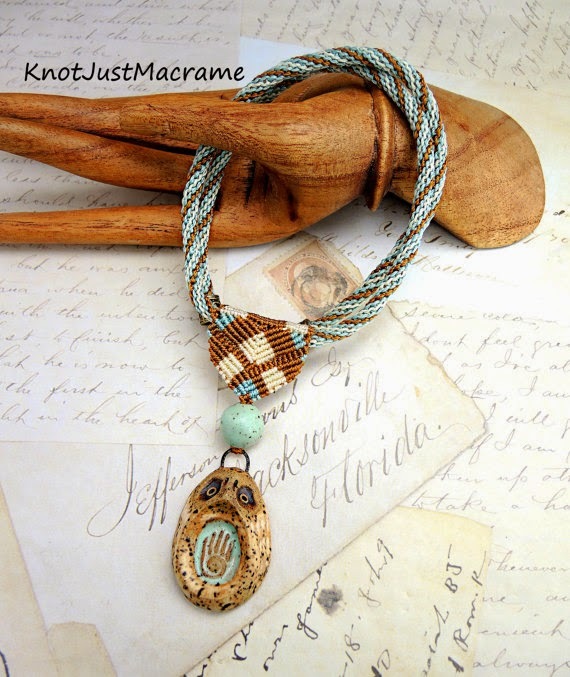 And if you're not inclined to make your own, you can purchase this one in my Etsy shop: Knot Just Macrame. The Paleolithic era, or old stone age, was a time when humans were nomadic and completely dependent on the environment. The climate was much colder during this period and large herds of animals roamed in search of food. Man out of necessity followed the herds, hunting and gathering food. 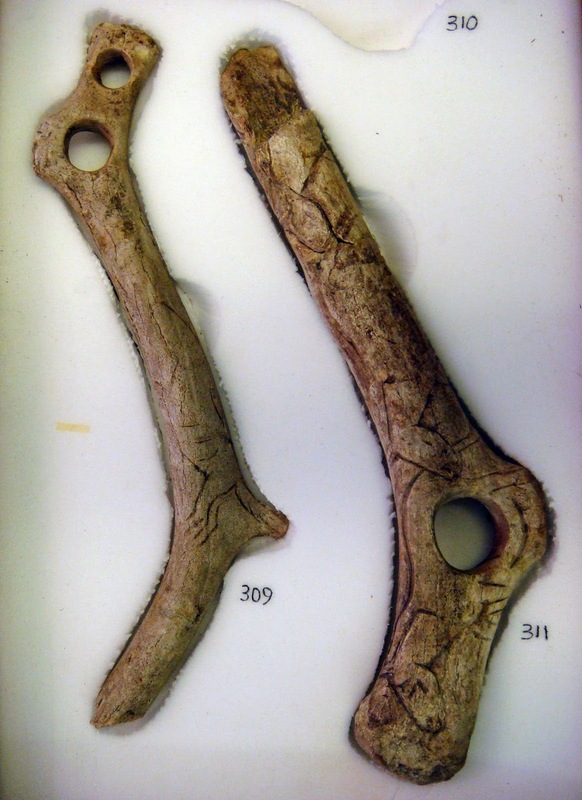 They used fire for light, heat and cooking and invented stone weapons such as daggers, spear points and axes. Temporary shelters used during warmer seasons were made of animal skins and plants (as were clothes). Caves provided shelter during the colder periods. 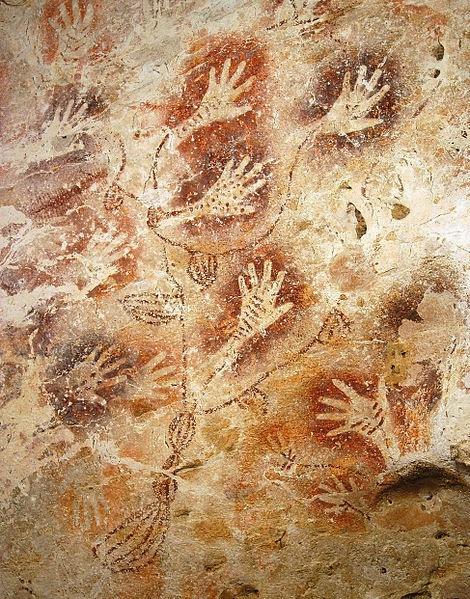 Because of this lifestyle, art was either drawn on cave walls or was small enough to be carried from place to place. Most art from this period focused on hunting, women and fertility. 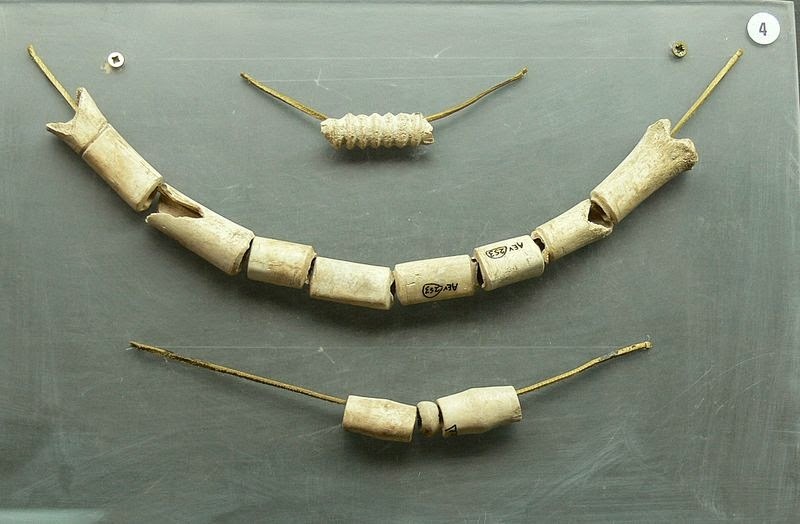 Shells that are pierced and covered with red ochre dated to 82,000 years ago have been discovered with wear patterns suggesting they may have been strung as beads. 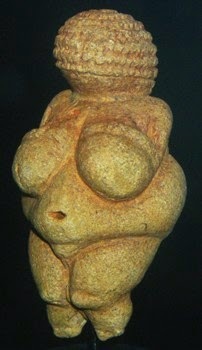 The oldest known sculpture is a 2.4" female figure carved in mammoth ivory dating to 35,000 BCE. 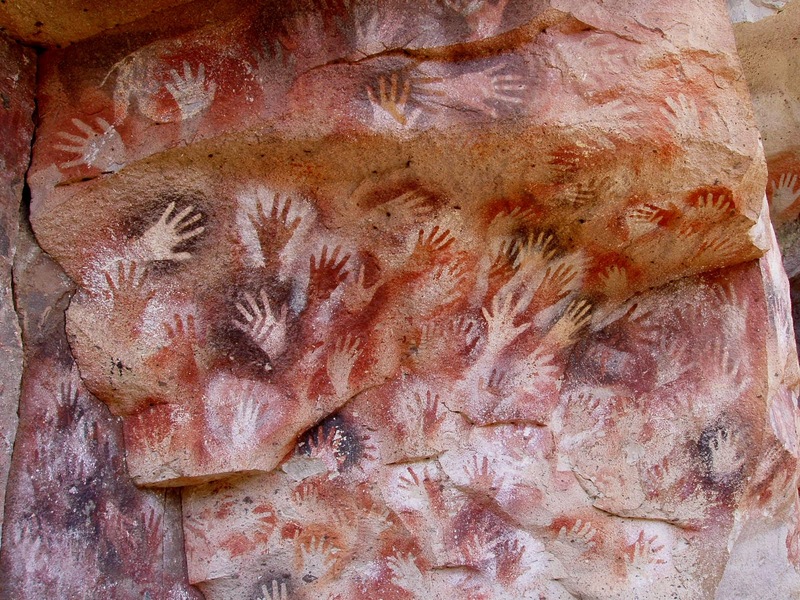 Cave paintings from about the same time have been found in locations across Europe and even older ones in Southeast Asia. 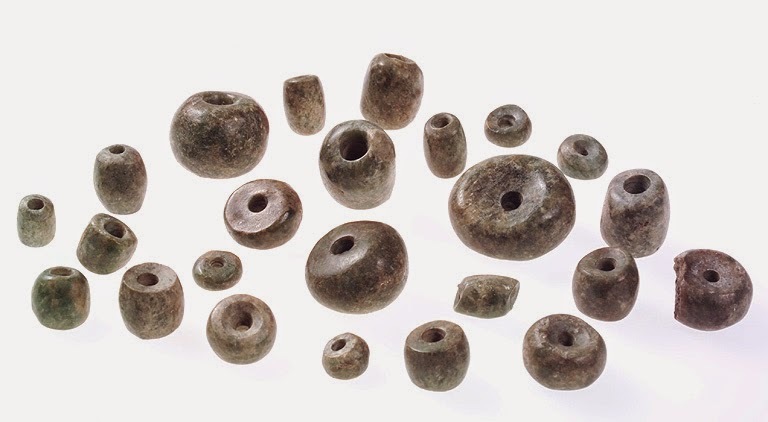 The Neolithic era, or New Stone Age, started sometime around 10,000 BCE. The big change during this period was the invention of agriculture. Man learned to manipulate nature and produce food by planting and harvesting crops, and all of this was made possible by the warming climate. 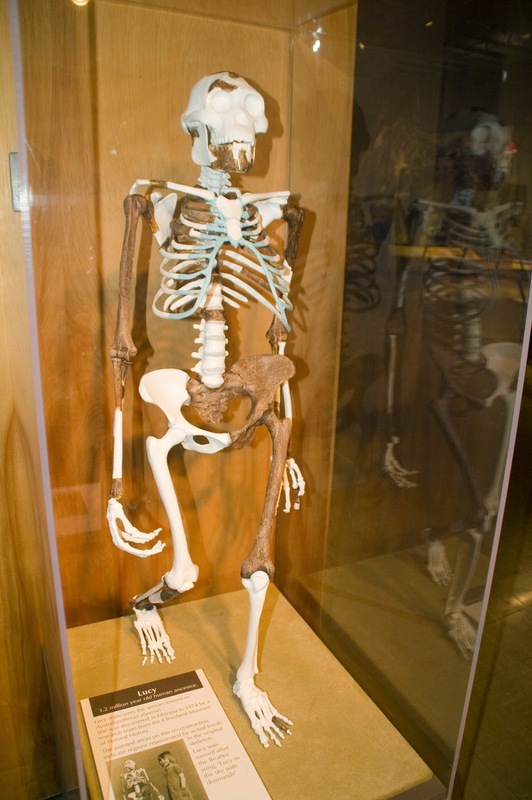 New types of tools were introduced and animals like dogs, sheep, goats, cattle and pigs were domesticated. Religion becomes more apparent as group mentality grows. 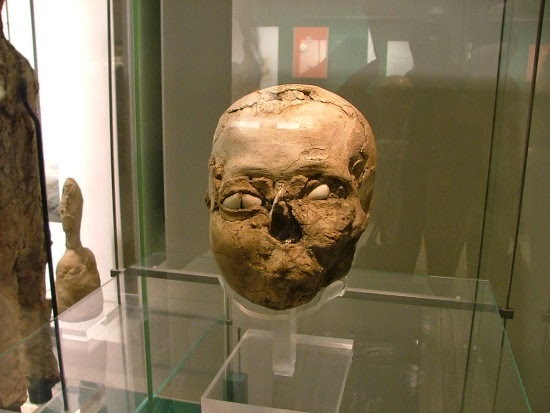 Human beings beginning to live in fixed settlements and in larger groups now have more time for art. Pottery shows up more often during this period (although they had the skills before, pottery was not practical for carrying when constantly on the move). The female form and fertility are still strong themes in art from this period, but animals appear as well. 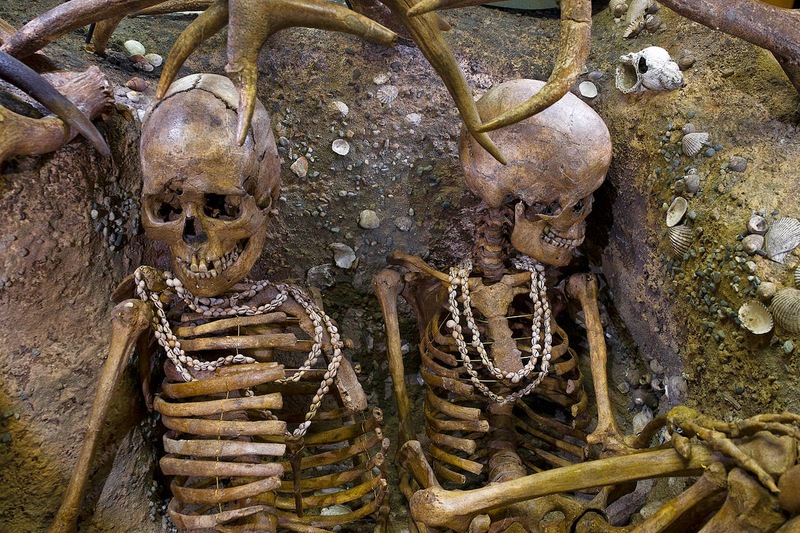 Neolithic burial of two women who were wearing necklaces made of shells. 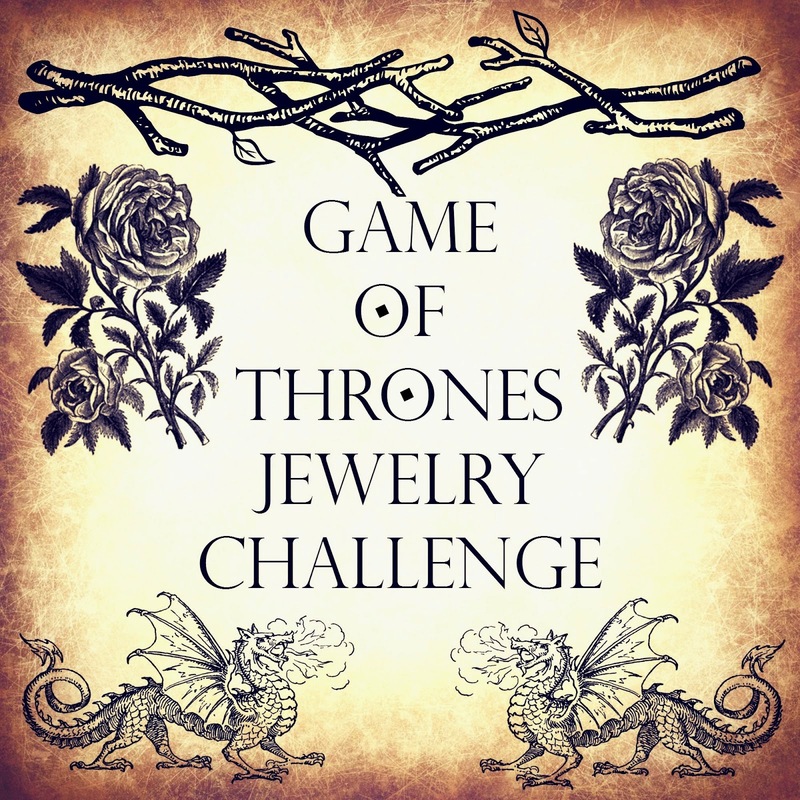 The challenge for this blog hop is an easy one: during the month of April, make something inspired by this theme - whatever your take on it. Then meet Lindsay and I and the rest of the team back here on May 1st for the big reveal. I can't wait! !